Hey everybody! I wanted to answer a quick question that I have been getting asked a lot recently. It is about Snapchat and whether your practice needs to be using it. I always want focus on managing your time and resources as well as possible. So just because Snapchat is the new popular social networking platform that doesn’t mean you need to jump on it and spread your efforts even more thin if you are struggling already with Facebook, Instagram, Twitter, etc. Snapchat’s main demographic consists of millennials. The app was originally conceived as a disappearing pictures app. However, it has become a breakout app due to users reporting that it is “fun” to use. The primary use for Snapchat currently is “comedic content” such as silly faces. Dentists and other medical professionals are already using Snapchat to promote their practices. One example of a dentist using snapchat for informative PSA type messages is Daniel Rubinstein. Dr. Rubinstein takes questions from patients as well as people who would probably never step foot into a dental office. So, snapchat has become a tool for him to reach people who are too afraid to come to his office in person. This is all great, but how much time do you spend managing your existing Social Networking profiles? That is an important question because if you are using some form of Social networking but you are not seeing any value from that it would be foolish to divert more of your efforts to something else simply because it’s new, and the in thing at the moment. Case and point, when I first started Social Networking accounts for Uptime Houston I created accounts on Facebook, Twitter, LinkedIn, Pinterest, etc. I thought that I needed to hit each of those platforms hard so that I could demonstrate how well they could be managed. However I quickly learned that it took up too much of my time to create posts for each one of those platforms and the return on my time was dismal. So I had to determine what was best for my business. Since those days I have made a conscious effort to spend my time doing the things that I am good at and also that show the greatest rewards. We need to all take the time to understand what is most impactful for our business. The second thing we need to consider about Snapchat is their user demographic. 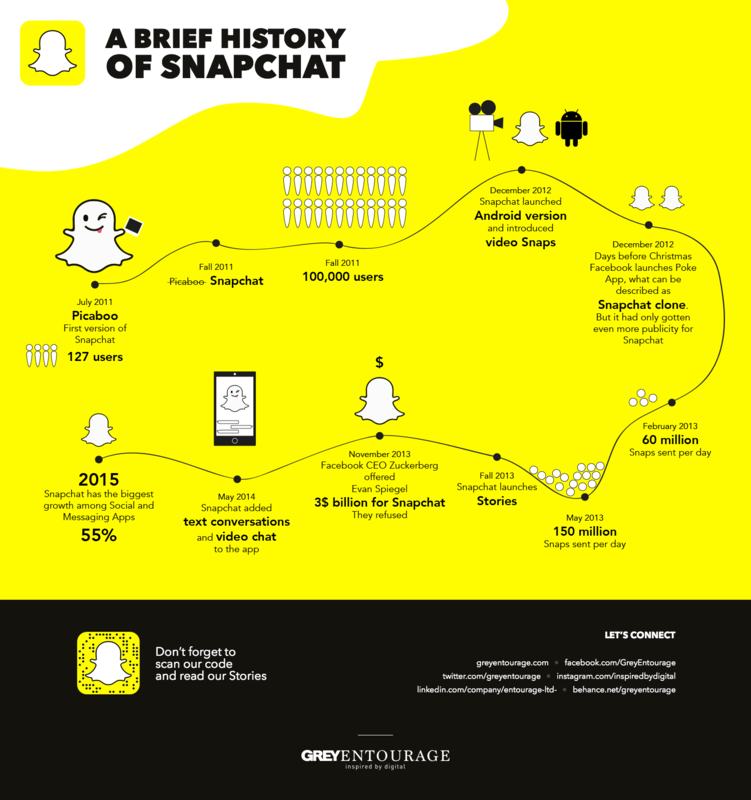 The majority of users on snapchat are between 17 – 25 years old. Many people who have a younger demographic do very well targeting them on Snapchat. It is a really good way to interact with that younger demographic. However, for most dental offices, your typical patient is not in that 17 – 25 year old age range. Compare that to Facebook’s most common age demographic of 25 – 34 years old, that person is a lot more likely to be a dental patient. That is not to say that there is no value in talking to 17 – 25 year olds. If you can create interesting content and informational videos that millennials can connect with, as they grow professionally and start looking for the services you provide you will be ahead of the game. For most businesses I simply recommend that you go where you patients are. Most of the doctors I deal with are looking for the biggest ROI channels that will have the most immediate impact.